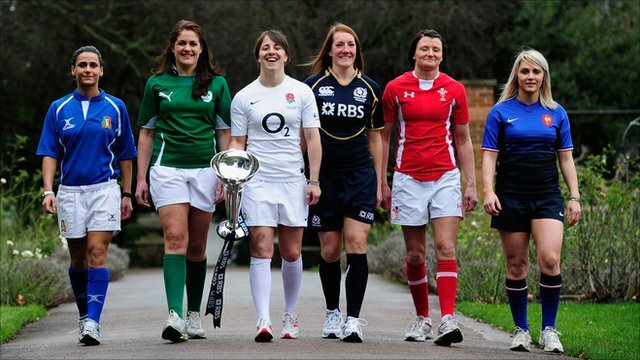 What will happen with Women's Six Nations this week? So the controversy over the Women's Six Nations rugby tournament rumbles on with a board meeting this week - but we don't know whether a decision will be taken then or not. It is however great to see the possible changes getting more coverage in the countries concerned - even some Members of Parliament in Wales have spoken out. The All Party Parliamentary Group on Women's Sport and Fitness completely rejected the plans a few days ago- details here. Philip Doyle, the Irish coach gave an interview here saying he is opposed to any changes. And bearing in mind the changes could benefit Ireland in the short-term, that's a very strong stance to take. It really frustrates me this is happening. Sometimes being involved with women's sport is just, well it's just difficult. Of course we all realise finances are limited but why is it always the women's side of the sport which gets knocked on the head? Ireland's men have won the Grand Slam twice since Wales were the first Champions in 1908 but obviously we keep sending teams in the hope of another win. That same dedication to hope just seems to be missing when it comes to women's teams right across the tournament. Scrum Queens have a broader look at women's rugby in the media here in their first Media Watch, well worth a look. If you've heard anymore on this, leave a comment or drop me an email!